It’s Christmas time, even in Iraq. 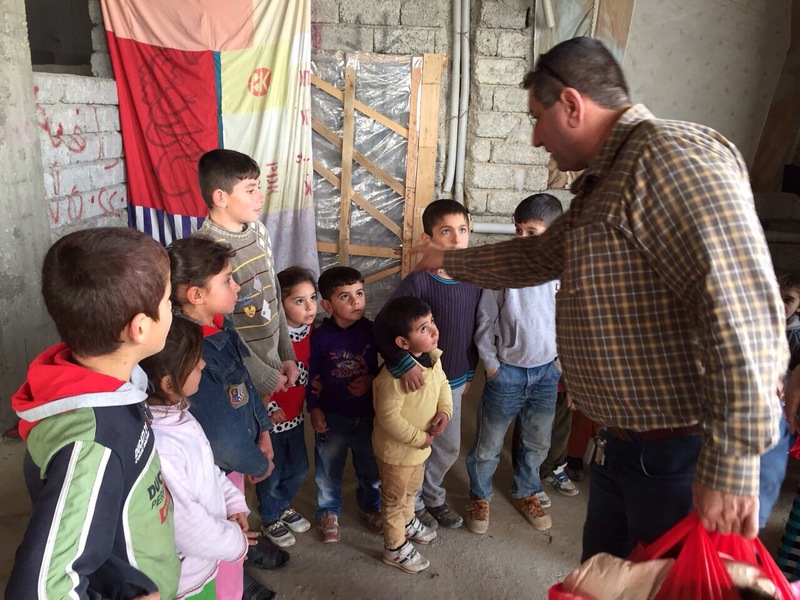 It strikes me, as I ponder an email I just received from Pastor Layth in Duhok, that just as there was no room at the Inn for the Christ Child on that first Christmas Day, so it is at our Church in Kurdistan of Iraq. Let me share Layth’s email with you. Last Sunday I’m was very Embarrassed because people just kept coming and coming and we don’t have room or an answer for them. I just told them to keep praying for the new building to be finished. Pastor Layth also shared a dream he had. In it he saw me in our new building when it is completed. It was filled with empty chairs and I was praying over them and prophesying that they would be filled. The fact is, at the very beginning of this project I told Layth that in my spirit I saw this very thing happening. Wishful thinking? It depends on your point of view. My view is that whatever GOD puts in our heart will BECOME reality if we act upon it. If I could persuade all 3000 of my friends who follow me by email or Facebook to simply sacrifice $23.33 over the next two months, we could get this Church building opened and functional as our Worship Center and Refugee outreach facility. What’s the likelihood of this happening? I don’t know; what was the likelihood of somebody lending a stable to Joseph and Mary? GOD could have created a mansion on the spot for His Son had He chosen to do so. He didn’t. He left that choice to the action of men. Look what happened. Christ was born on Christmas Day. Angels manifest themselves and announced His birth and what it meant to mankind, then sang in heavenly worship. Shepherds and Kings found their way … to a stable! The reaction of all who those saw this humble scene? Were they taken aback by it? No, they were awed by it. They beheld His glory and worshipped. A stable becomes a magnificent Temple because of what it held within. We have this treasure in earthen vessels. It’s all so clear. To this day, that Nativity scene is both a hope and inspiration for multitudes who understand its meaning. Sadly, it’s a stone of offense to others. It really comes down to our worldview and for us who believe, our faith. If GOD can use a stable to accommodate so grand a design as world redemption, how much more can He move within the small humble circumstance of our lives? With God all things are possible. From all of us at Jack Harris Ministries, we wish you a Merry Christmas & Happy New Year.